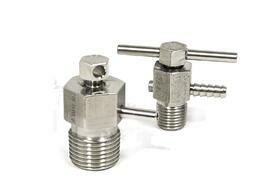 FloLok bleed valves can be used on instrumentation devices such as multi-valve manifolds or gauge valves to vent signal line pressure before removal of an instrument or to assist in calibration of control devices. 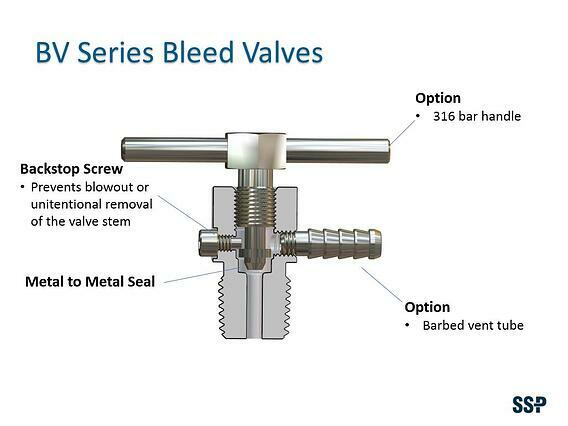 Select BV Series Bleed Valves for your applications. Download the Bleed Valve and Purge Valve Catalog. Materials: 316 SS, Alloy 400 other material available on request. End Connections: MNPT, male SAE, male BSPT. Other connections are available.